Isle of Wight Speedway takes place on most Tuesday and Thursday evenings, Island Speedway offers something for those who love the thrill of speed. It takes place at Smallbrook Stadium just outside Ryde. Below are the regular update of our Isle of Wight team, the Wightlink Warriors we published. 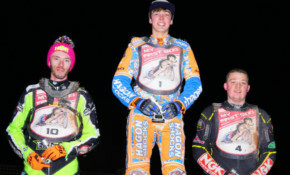 The lineup for the 2019 Isle of Wight ‘Wightlink’ Wizards speedway team has been announced. Warriors co-promoter, Barry Bishop says they now have to sit down and decide who will be in the Wizards squad – "no easy task as we have several contenders". The fans forum is intended as a two-way dialogue with the speedway management happy to take and honestly answer questions. The pocket rocket from Shorne, Danno Verge, says he's absolutely stoked to have been invited back to ride for the Warriors again. A full house of fans, riders and sponsors celebrated riders from ‘Wightlink’ Warriors & Wizards at their end of season awards evening.